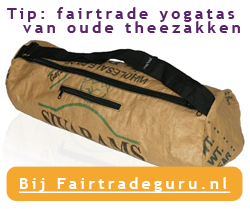 Introduction: Unlimited yoga classes for only €19,- in 14 days! Looking for more balance, relaxation.. A deeper connection with yourself in Bos en Lommer? Walk the ancient paths of Yoga, Tantra and bodyworks to unleash your body wisdom and beyond. Blossom your essence into bliss. You're so worth it! Breath the tranquility of two cozy and intimate studios in Amsterdam West. Relax in this wellness temple in Bos en Lommer with timeless art and the soft lighting of candles and salt crystal lamps. Quality guarantees your experience. Founder Gabrielle Zwueste has almost 20 years of experience in guiding people of all ages and body conditions. She'll support you to feel more alive, expand your life energy and reconnect with your divine nature. It is an invitation to surrender to love and healing whatever is hindering you to flower and blossom as the light that you are.